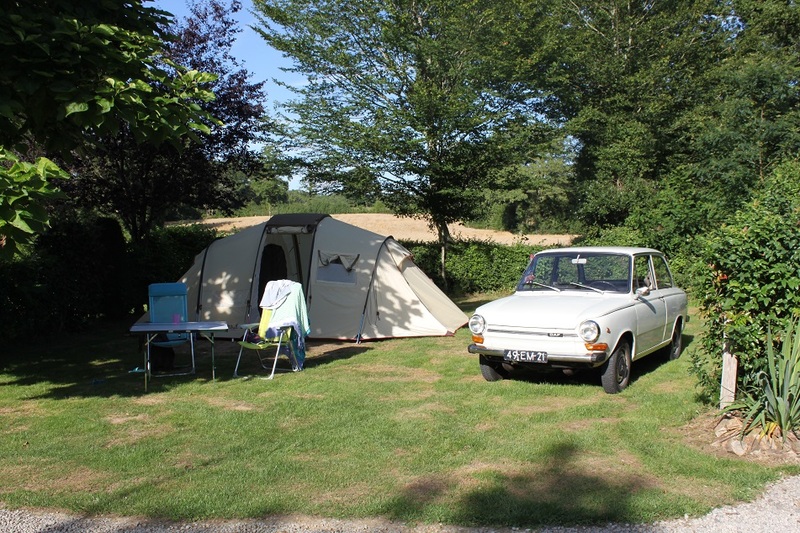 Our small family campsite is suitable for people of all ages, for a relaxed or an active vacation and for lovers of peace, space and the French countryside. Our family campsite of 1.5 hectare has both sunny and shady pitches. Thanks to the paved roads all 29 pitches are easily accessible, even with a large caravan and for disabled people. The camping pitches are flat and their average size is 160 m2. Almost all pitches have their own water and power supply and some places have a sewage connection. For campers, there are paved camper pitches with all facilities: water tap, waste water drainage and electricity. The shower cabins are very spacious and equipped with thermostatic valves. Hot water is included in the camping rate. In the toilets is toilet paper. There are two sanitary units, which are cleaned every day. In the sanitary unit in the main building stands a washing machine, which you may use for € 4,50 (detergent included). The campsite is open from May 1st to October 1st. For the high season, advance reservation is advisable.